Looking ahead to find the tile that fits right with the hottest trends and has the everlasting impression to keep your kitchens, bathrooms or any other space look great for years to come. It’s that time of the year when you let your imagination run free and turn your abode into an emanation of beauty and style. So, what are the trends for 2017 when it comes to tile designs, materials, and colors? What will be chic, fashionable and easy to maintain? What are the latest designs and creations? We at AmerAdnan Associates are here to give you an inside scoop on what’s coming your way in 2017. The wood-look tile is not going anywhere in 2017. The largest selling category will continue its dominance as it looks authentic and offers supreme durability. What’s more is it is available in both traditional and unusual shapes and sizes. 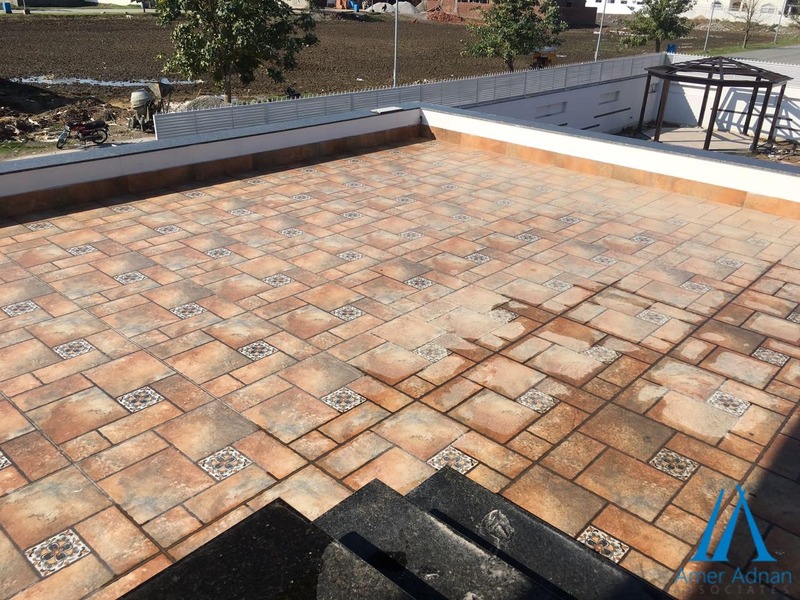 This makes wood-look tiles the first choice of best construction companies in Pakistan whether they want to achieve a rustic or clean contemporary look. This writing is about wood-look tiles that people will get to see them in exotic new finishes. For instance, this year vaporized wood-look tiles will make way to the stores to give you more pronounced, grain, textured and ceruse look. You will be amazed to see how well tile manufacturers will imitate such finishes. Yes, wall tiles will stay in demand this year too. The best part is you will see some bold colors in wall tiles. Blue is likely to be the favorite for the walls. Besides bold hues, homeowners will get to see texture wall tiles. With the advent of 3D tiles, buyers will have more options when it comes to buying wall tiles in 2017. Some unusual shapes such as geometry, leaf, and others are also likely to make way this year, but it remains to be seen how warmly they’ll be greeted by the buyers.